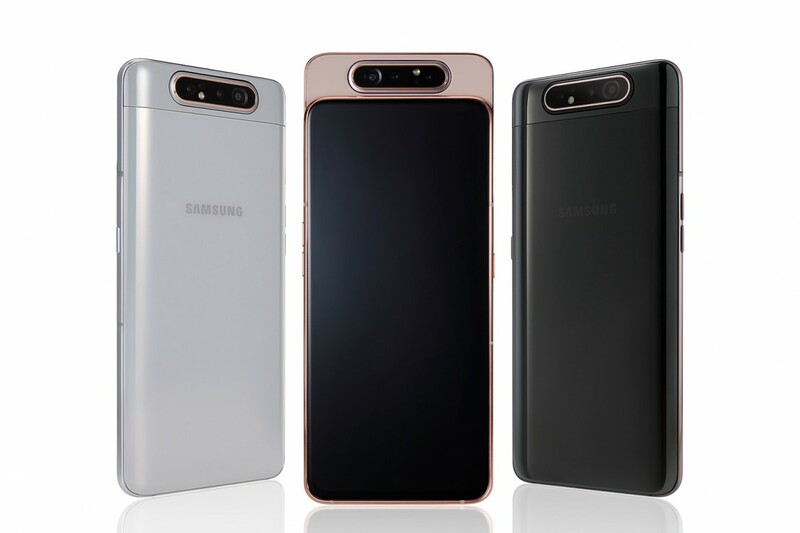 Samsung has unveiled the Galaxy A80 and it’s one of the unique phones out there which certainly demonstrate Samsung’s “Era of Live” design philosophy — which has been the case in recent A-series launches. 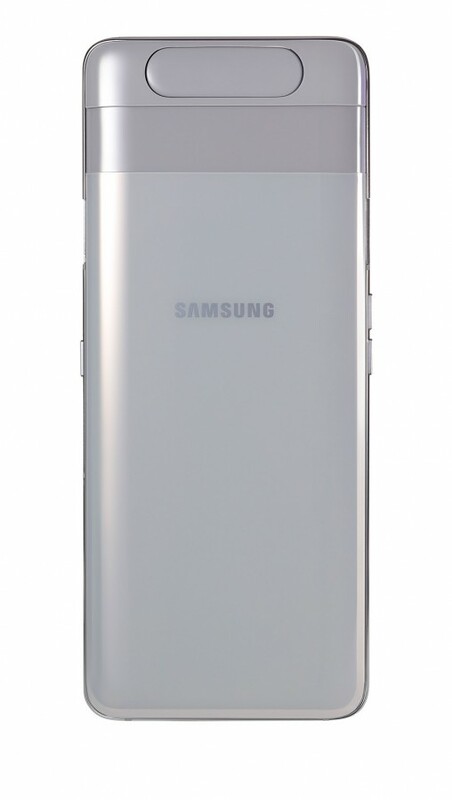 And the Galaxy A80 manifest that with a rotating pop-up camera with the loaded rotate mechanism. Features like pop-up cameras and sliding mechanism have been seen in past devices like OPPO Find X and Mi Mix 3 but this one quite unique on its own. This means the phone uses the same camera for both selfies and landscape shots. It is made possible by a 48MP camera sensor with f/2.0 lens with Super Steady mode also seen on Galaxy S10. This helps the phone to capture videos without any stutters. The sensor is accompanied by an 8MP ultra-wide camera with a 123-degree field of view. This should allow you to capture wide-angle selfies with more people into the shot. There’s also a third sensor, i.e. ToF for depth perception for images and even videos. Since the camera is hidden behind the motorized pop-up module, you get an ample display without any notch to hinder your viewing experience. 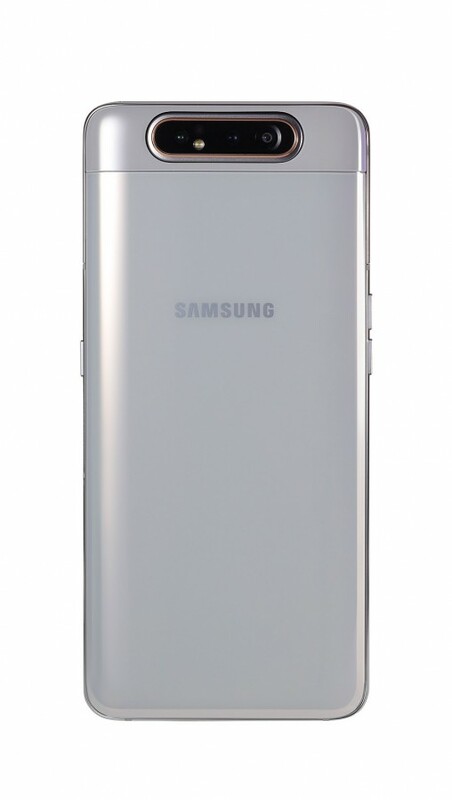 This makes the 6.7-inch Super AMOLED display crystal clear without any dots or blemish which is pleasing to the eye. The resolution is 1080p and there’s an in-display fingerprint scanner as well. 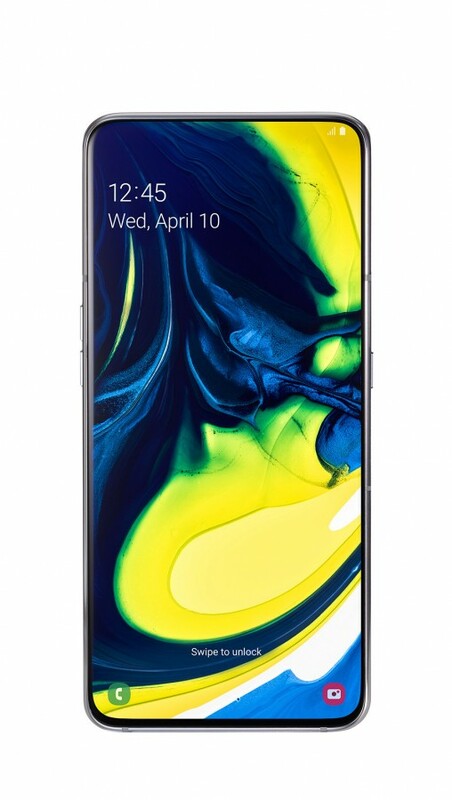 Coming back to the rear, the Galaxy A80 has a curved glass surrounded with metals. Inside there’s a Snapdragon 730 processor, 3,700mAh battery with 25W fast charging support, 8GB of RAM and 128GB of onboard storage. The phone is available in three color options: Angel Gold, Phantom Black, and Ghost White. Price for the Samsung Galaxy A80 starts at around $730 and will be available starting May 29. As for Nepal, there’s no word about availability but if it does manage to reach here, expect it to cost fortunes — around NPR 75,000.